Working at ACE is intended to be an experience that is both personally and professionally rewarding. 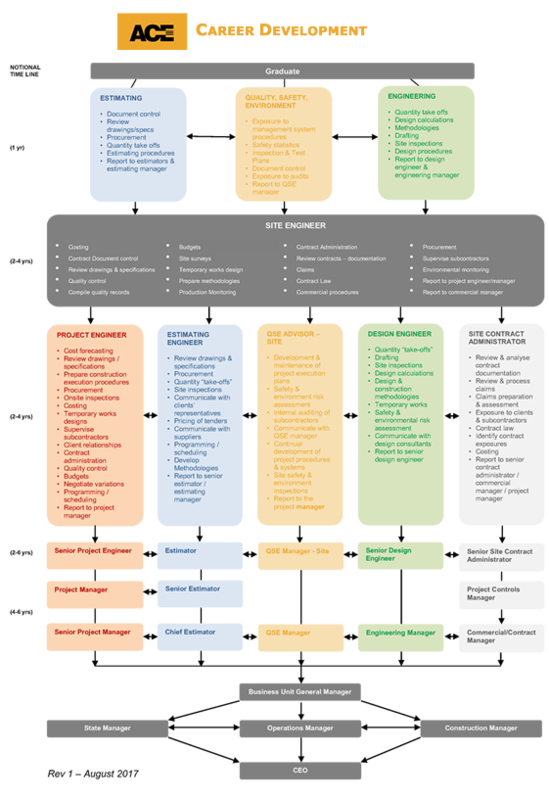 Being a mid-tier contractor means that we can be nimble and flexible in responding to client and employee requirements. At ACE, we will provide you with an opportunity to stretch yourself because we don’t ‘put you in a box’. We are a diverse company with business units in Civil, Infrastructure, Landscape, Electrical, Environmental and Water, and therefore we are flexible in working with you towards your career goals. ACE has a corporate goal to provide quality services to our clients, whilst maintaining the satisfaction and well-being of our employees. This means that we also care about ‘you’! We want you to live a full and meaningful life and be part of something bigger, which we create together. At ACE, you will work in a team of professionals and be supported throughout your career with training, diverse project experience and most importantly the opportunity and means to simply be your genuine self. We can provide you with a varied and diversified career path – please click on the link to view our career structure. Culturally, we like to consider ‘What Went Well’ (WWW) when gathering and reflecting on past and present performance. This type of thinking helps us focus on the positives and build upon our strengths. Employee health and wellbeing are important to us. Fresh fruit and food options are provided daily for staff to snack on. We support and celebrate RUOK Day & Movember, to aid in the prevention of depression and suicide. We know that employees can help each other in lots of little ways, as well as big ways, in supporting one another in life’s challenges. At ACE, we acknowledge that the more these subjects are talked about and de-stigmatised, the better and richer our lives will be. Our Employee Assistance Program (EAP) has been in place since 2013. We also have an Employee Emergency Fund (EEF) to assist employees and their families undergoing financial hardship due to illness and the like. We also like to have fun! 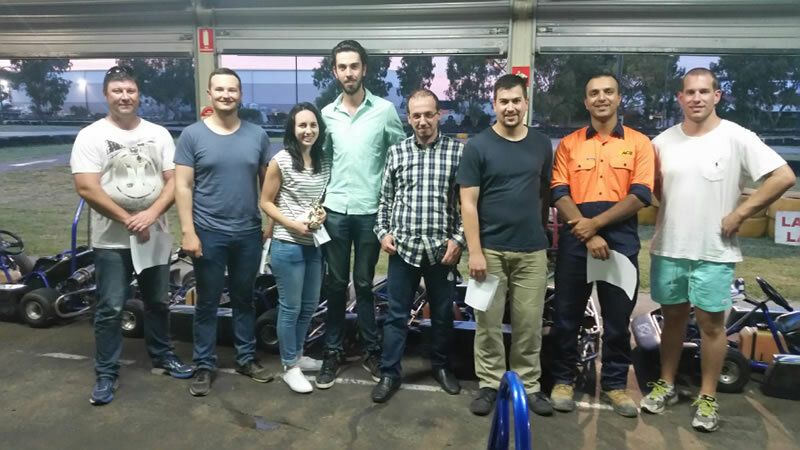 Our Social Committee organise social events, and some events to date have included trivia nights and go-karting.